Join the Pink Singers for That’s Entertainment! 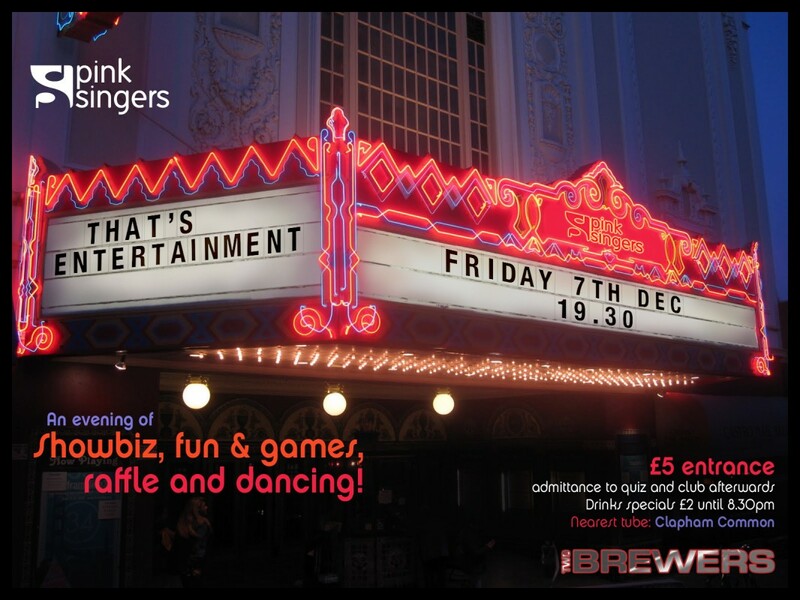 – an evening of showbiz quiz fun and games at The Two Brewers 114 Clapham High St (Clapham Common Tube). The evening will include a raffle, live entertainment, a lot of belly laughs and dancing. Entrance is £5 per person and gets you entry into the quiz and to the club afterwards. Arrive early and you can take advantage of selected drinks at £2 before 8.30pm. You can join the Facebook event here. See you there!